Washington, DC — TCG announced today that it has been certified at ISO 20000-1. The ISO 20000 certification assures customers that TCG’s approaches to IT Service Management meet the highest standards of the industry. We’d been doing things this way for quite some time, but now we have the paper to prove it. ISO 20000-1 is the leading standard for IT Service Management — all the activities involved in designing, creating, delivering, supporting, and managing the lifecycle of IT services. To receive an ISO 20000-1 certification, an independent, objective auditor reviewed how IT services are implemented at TCG. The auditor — who we kept energized with coffee and promises of donuts — reviewed mounds of documentation related to TCG’s service catalog, and policies and processes for IT security, issue management, change management, risk management, disaster recovery, and service continuity, and assessed their compliance to the standard. To maintain the certification, TCG will periodically perform internal and external audits to assess continued compliance, verify effective management of processes, assess initiatives for continued improvement, and maintain our inventory of donuts. The International Organization for Standardization (ISO) is an independent, non-governmental international organization and the world’s largest developer of voluntary International Standards that support innovation and solutions to global challenges. ISO is made up of the national standards bodies of 163 member countries working in partnership with international organizations, governments, industry, business, and consumer representatives. The organization has published more than 19,500 international standards covering nearly every industry — from technology to food safety to agriculture and healthcare. 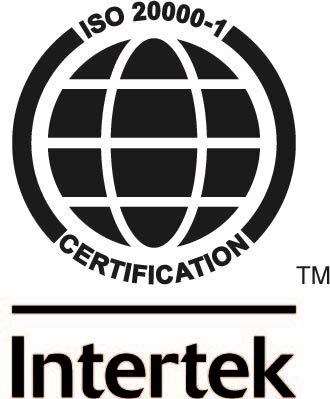 ISO certifications give world-class specifications for products, services, and systems to ensure quality, safety, and efficiency.